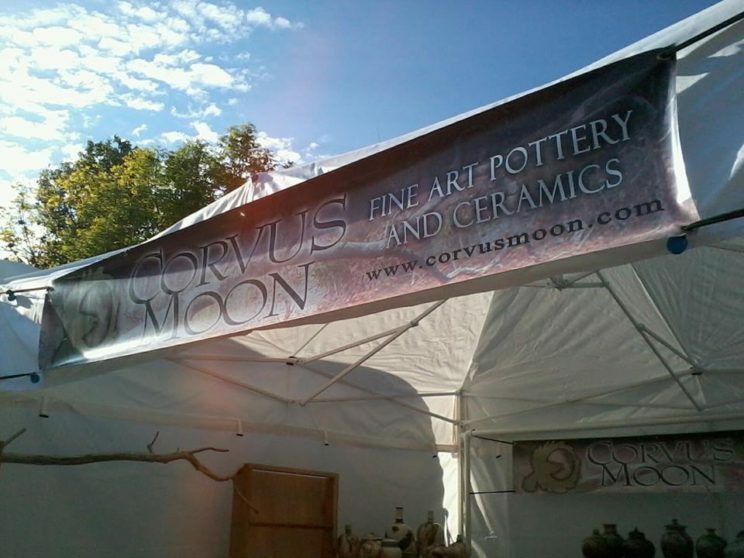 Corvus Moon Pottery specializes in fine art ceramics, crystalline porcelain and the raku firing technique. We also create beautiful funerary urns custom made for the individual. We produce functional ware for renaissance faires, Celtic gatherings and live history events also. While our focus is on wheel-thrown forms, we also produce sculpture, tile, and primitive styled pottery. Using the natural surroundings of the Missouri Ozarks for inspiration, we express ourselves with clay and fire. Get our schedule and events delivered to your email once a month.